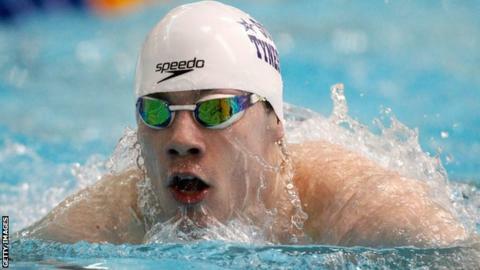 London 2012 Paralympic swimming champion Josef Craig has announced his retirement at the age of 21. Craig was just 15 when he became Britain’s youngest gold medallist and set a world record in the S7 400m freestyle final in London. The Tyne and Wear swimmer added two golds at the World Championships in Montreal the following year. Named BBC Young Sports Personality of the Year in 2012, he was reclassified in the early part of 2014, moving up from the S7 class to S8 where he competed against less impaired athletes. He returned to competition in that same year and continued to reach the podium with more medals at the European Championships in Eindhoven. He qualified for the Rio 2016 Paralympic Games and secured bronze in the 100m freestyle, becoming the first person to win medals at consecutive Games after being reclassified. Craig added that his proudest moment was being appointed MBE for services to swimming and sport “by the Queen herself”. In the run-up to the Rio Games, Craig suffered with anxiety, bipolar and depression issues while continuing to train and compete. “I went through a lot and for a long time, I now want to use the platform and influence I have to help those facing mental issues,” he said.